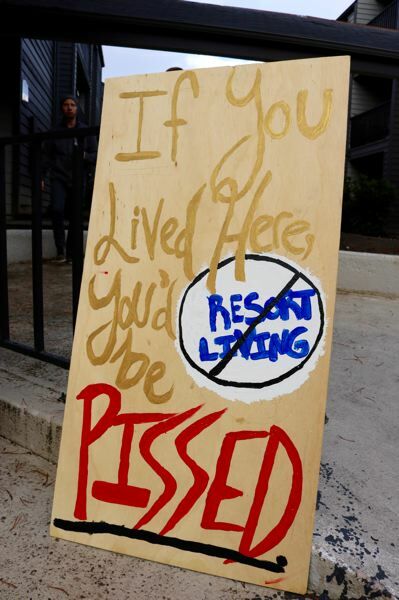 Water shutoffs and construction work spur unrest at Wimbledon Square and Gardens in SE Portland. Blame it on the CC. A landlord who inadvertently copied hundreds of tenants on the same email has sparked a reply-all revolution — with the renters forming a union and demanding money back after enduring months of water shutoffs and construction. Apartment dwellers at the 600-unit Wimbledon Square and Gardens, 2837 S.E. 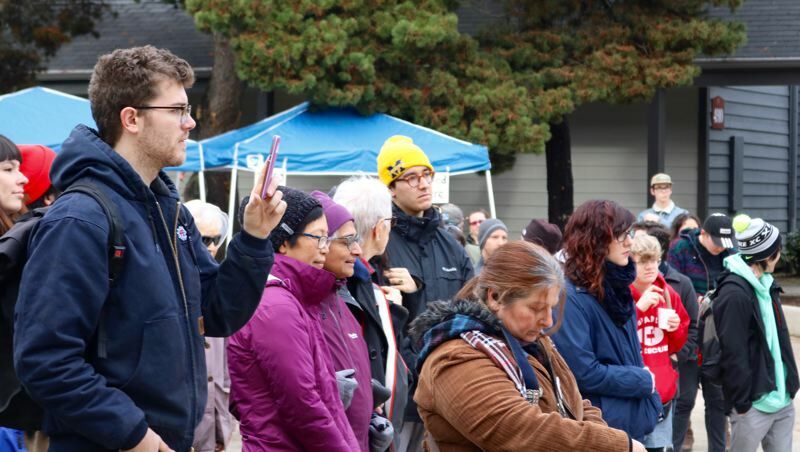 Colt Dr., rallied in the complex's courtyard on Saturday, Dec. 1 after management blew past a Nov. 30 deadline to respond to the Wimby Tenant Union's demands. Now there is talk of a rent strike. "Coming home and not being able to take a shower, it makes me want to rip my hair off," said Tabby Keefer, 22, a recent college grad who works as a baker. But she believes it's "the long-term negligence and lack of upkeep that is the real issue." This isn't the first time Wimbledon or its owners, Prime Group, have been in the news. 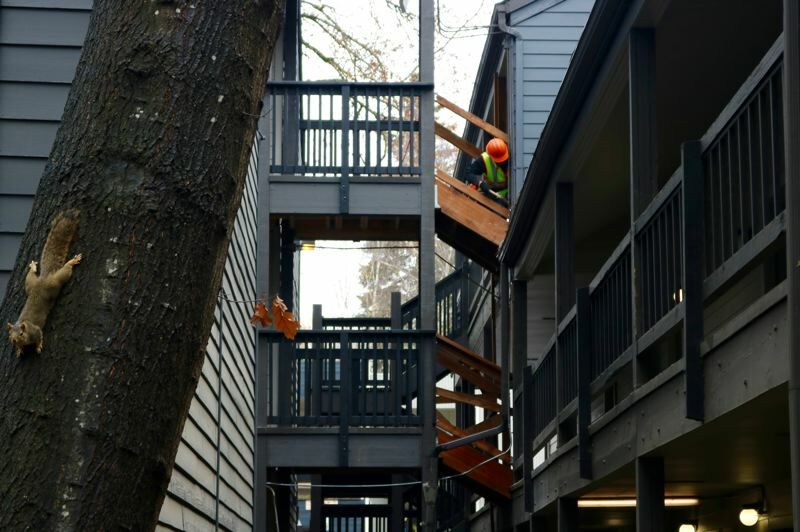 In May, a Multnomah County jury awarded Robert Trebelhorn $20 million in punitive damages after the former tenant plunged through a second-floor rotting wooden walkway in 2016. Philip Taylor Lancaster reportedly lost his job at Roosevelt High School after a student noticed that the teacher had filmed them in the bathroom. Lancaster ended up getting a job as assistant community manager at the Wimbledon. Tenants say he has since been fired again. Prime Group management did not immediately respond to an email requesting comment. 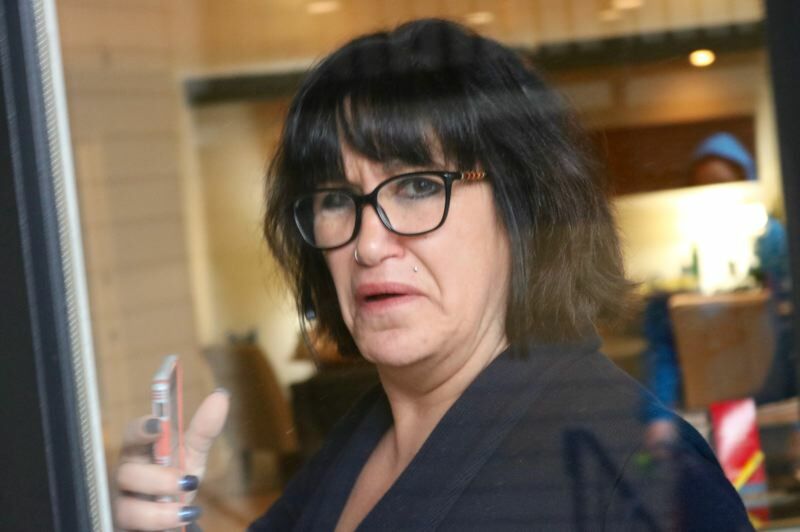 Wimbledon employee Karen Duca said "I have no comment" before audibly locking the door to the leasing office. Another worker appeared to be documenting the Saturday rally with her phone. Renters say water outages lasting eight hours or stretching overnight occurred from March 1 to Nov. 7, but their utility bills actually increased at the same time. Some residents lost access to their apartments for long blocks of time due to construction. The work was certainly evident on Saturday, as the sounds of protesters' skits, songs and chants mingled with the pounding of hammers and buzzing of drills used by construction workers who continue to replank walkways in the three-story complex. The Wimby Tenants Union wants "reparations" equal to two months rent for each current or former resident who lost water access or was impacted by construction work, as well as reimbursed water bills and other charges, according to a letter submitted to management on Monday, Nov. 26. They say they have about 150 signatures on their petition. "Portland's rental situation is insane. I kind of feel trapped," said resident Josh McCracken. "I would like to see some restitution for the money I have lost." The group has lined up some prominent supporters, including Commissioner Chloe Eudaly and Democratic Rep. Rob Nosse, who represents the area at the statehouse. Commissioner-elect Jo Ann Hardesty is traveling in Brazil and was unable to attend. Greg Kafoury, who represented Trebelhorn in the rotten gangway case, says Prime appealed the $20 million jury award as excessive. A judge has not yet issued a decision on that matter. "These people inspire me," Kafoury said. "To stand up and not allow themselves to be oppressed and abused, it's the most beautiful thing in the world." Kafoury noted that the national real estate investment firm claims to oversee more than $7 billion in assets on its website. Tenants reported paying anywhere from $900 to $1,500 a month to live at the Wimbledon. 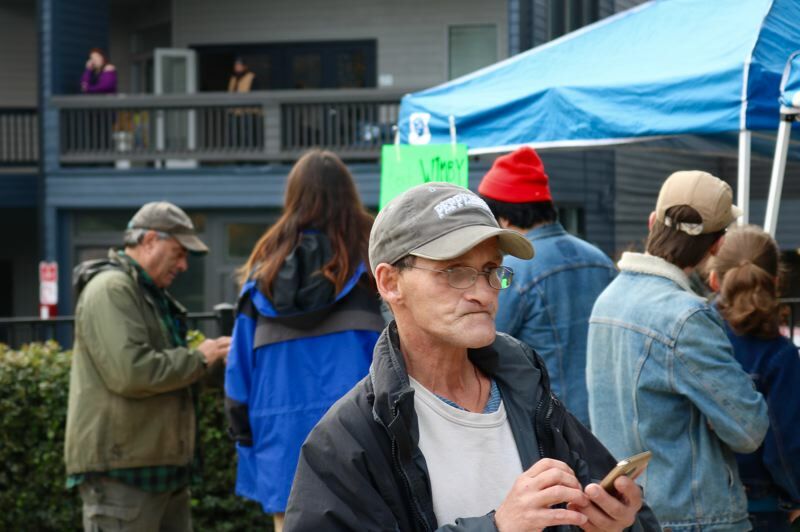 Prime has not communicated directly with the tenant group, but on Nov. 30 posted letters on each doorway saying the company expends "a great deal of time and resources" to provide "a quality living environment for all residents." "Our goal remains to meet with residents on an individual basis in an effort to resolve issues raised concerning the renovation project, timing and any construction concerns," wrote manager Jamie Harris. But tenant Floyd Mangrum doesn't buy it. "I think our strength is in numbers," he said. "I'm going to hold off on talking to them and stick with the union."